No book has caused more controversy since its publication than American Psycho by Brett Easton Ellis. If you’ve seen the movie, your insides have surely coiled in revolt from Patrick Bateman’s violent and outlandish murders; and the book is only worse. So extreme were a few of the scenes in the book, they don’t even appear in the movie itself! Before the release date in 1991 employees of Simon and Schuster, the publishing company who backed the book, leaked a few of the more graphic passages to the press. They were immensely unhappy with Ellis and his novel. They didn’t want it to be published. The public outcry was so extreme the publishing company ultimately backed out of the deal and the 250,000 advance they’d given Ellis. This was their loss as Vintage, a sect of Random House publishing picked the book up and ran with it. The book’s popularity continues, though in multiple countries the book is rated R and can only be sold shrink wrapped to individuals 18 and older. Some countries went so far as to outright ban the novel so no one could read it! All we can say is good job, Ellis. It’s dark but phenomenal writing. This is why we chose this novel for our selected reading for the March meeting of Banned Book Club. The general consensus was that we love American Psycho, but we can’t stomach reading it twice. Each of us at one point said we couldn’t read any further. Each and every one of us put the book down, only to pick it up again later because we had to find out what happened. The murders are vicious. Ellis leaves nothing to the imagination, giving us vivid descriptions of the bodies and how they were tortured, raped and mutilated. Not only this, there are pages upon pages of descriptions of the most exquisite and expensive clothing lines, business cards, cars and food. One member of the club said, “It was awful, like reading an L.L. Bean catalog that never ended!” And yet, all of us read to its final page, where we are left wondering whether the murders even happened or if it was all part of Bateman’s messed up and disoriented head. 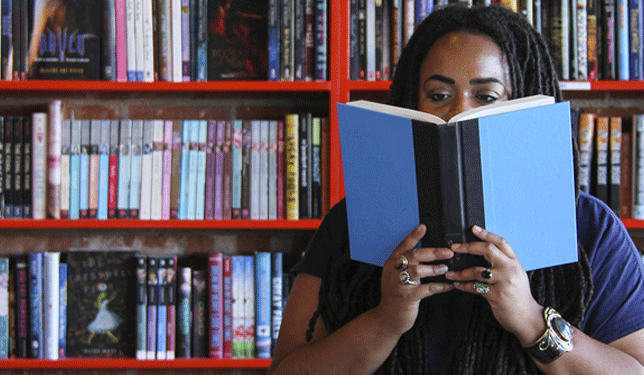 The Banned Book Club thrives to bring “racy” titles to the public eye. No book should be banned or censored and we’ve vowed to read them all… if we can. Join our next meeting on Friday, April 24 at Bookmans Ina when we discuss One Flew over the Cuckoo’s Nest by Ken Kesey. For questions, comments or concerns email us at inaevents@bookmans.com.